With spectacular 180 degree views of the Brisbane River, Jade Buddha offers one of the best dining experiences along the Pier. With an east meets west fusion menu, Jade Buddha is also the perfect place to host your special occasion. Shadow Lounge, located above Jade Buddha, offers arguably the best view in Brisbane, 180 degrees, spanning from the Story Bridge to the Kangaroo Point Cliffs. From plush couching, intimate function rooms and audio visual capabilities to fully catered bars, security, wait staff and total exclusivity, it exceeds all expectations for your perfect function. 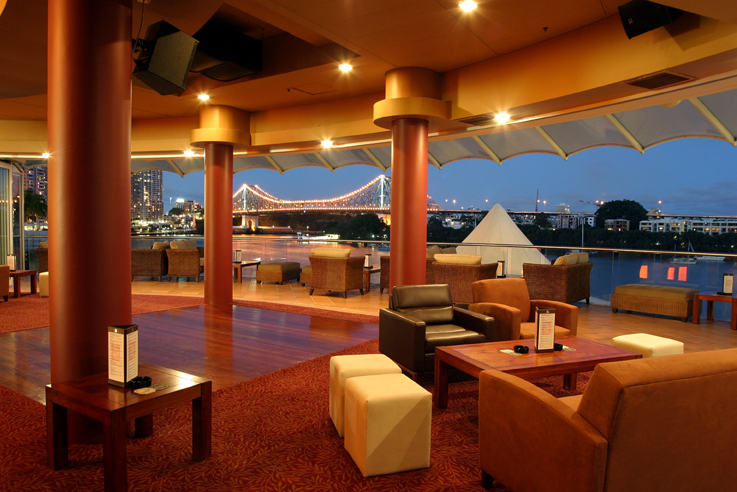 Located above Jade Buddha, Shadow Lounge is fast becoming the premier venue of the Brisbane nightlife. After opening in late February 2005, Shadow Lounge has been making its mark, creating a seductive mix of innovative cocktails, and lounge and house grooves all in an intimate and stylish setting overlooking the Brisbane River.